Michael Ioannidis, Senior research fellow, Max Planck Institute for Comparative Public Law and International Law, Heidelberg. 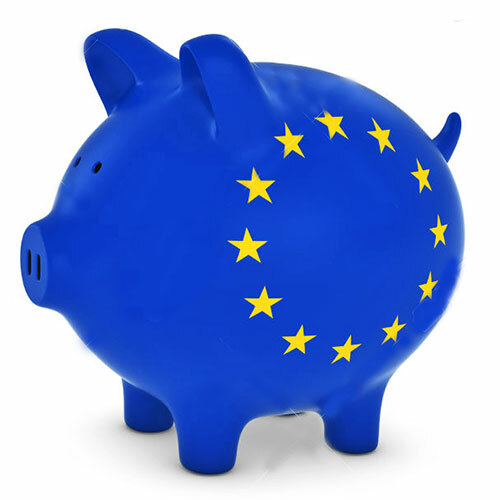 On 6 December, the European Commission presented a package of proposals on the further integration of the Eurozone. This was the first effort of European institutions to put on paper the rules that could shape post-crisis EMU, an issue that took centre stage in European politics after Macron’s election in France and will probably receive a new impetus after the formation of the new government in Germany. The most important part in Commission’s package is the proposal to bring the European Stability Mechanism (ESM) within the EU framework. The ESM, Europe’s main financial assistance mechanism, was set up in 2012 by an international treaty between Eurozone Members. For various reasons, legal and political, it was established as an organization of public international law, outside the EU. The Commission now proposes that the Council adopts a Regulation to make the ESM “a unique legal entity under Union law”, change its name, and add few more tasks to its mandate. Annexed to the proposed Council Regulation is a Statute governing the new body that is largely (but not entirely) based on the current ESM Treaty (ESMT). The proposed Regulation starts with a marketing exercise, rebranding the ESM as EMF (European Monetary Fund). The name EMF was popularised by academics at the beginning of the crisis as part of the call to establish a European assistance mechanism, a suggestion that was practically largely realized with the establishment of the ESM in 2012. The name EMF remained, however, in the agenda of policy-makers as a symbol of Europe eventually getting its own regional equivalent of the IMF – and becoming less dependent on the latter in future crises. The Commission takes on board the widespread charm of the name EMF – but this is not a choice without its problems. The new name, having “monetary” at its centre, alludes to the monetary tasks within the EMU that the TFEU (and the CJEU in Pringle) clearly distinguishes from economic policies and ascribes exclusively to the ECB. Quite expectedly, the body with the closest name to EMF in European institutional history was the European Monetary Cooperation Fund (EMCF), established by Regulation (EEC) No 907/73 with monetary-related tasks. Even if one admits the allure of IMF’s acronym, two things need to be reminded of. First, the original name under which the IMF itself was conceived was “International Stabilization Fund” (ISF). The reason for ultimately adopting IMF instead of ISF was United Kingdom’s (and JM Keynes’) insistence that the word “stabilization” alluded to the stabilization funds of the past, used to influence currency exchange rates and connected to unpleasant British experiences of keeping the pound pegged to the international gold standard. Such connotations are not of contemporary concern. Second, the IMF, which has access to financial resources through the central bank reserves of its members, has closer connection with proper monetary authorities than the ESM, which is financed by issuing bonds in capital markets. The establishment of the European Financial Stabilisation Mechanism (EFSM) by the EU in 2010, a body within the EU framework and very similar function with the EMF, attests to the view that the words “Stability” or “Stabilization” are accurate descriptors of the function of the future EU financial assistance mechanism. ESF (European Stability Fund) could thus be a plausible alternative to EMF. The Commission rebrands the ESM to mirror the IMF’s name, but it is much more hesitant to give the new body real IMF-like teeth. There is one single concept that made the Washington-based prototype famous: conditionality. That is, the power to set and monitor the conditions under which countries can access IMF resources. In Commission’s proposal, though, conditionality is not a job for the EMF but mainly for the Commission itself. During the crisis, the conditionality task was shared by three, and later four, institutions: the Commission, the ECB, the IMF, and, at a later stage, the ESM. The Commission’s proposal deletes all references of the ESMT on the involvement of the IMF in Eurozone conditionality, but does not give this role to the EMF. Conditionality is for the Commission to keep. According to Art. 13 of the proposed EMF Statute, conditionality is negotiated by the Commission, in liaison with the ECB, and “in cooperation with the EMF”. “Cooperation” is admittedly a very weak form of involvement, especially if it’s compared with the phrase “together with” that previously described IMF involvement in the ESMT. Moreover, MoUs shall be signed both by the Commission and the EMF. In the ESMT, in contrast, MoUs where signed by the Commission “on behalf” of the ESM. The phrase “on behalf”, establishing an agent-principal relation between Commission and the ESM, is now stricken out, meaning that the Commission becomes legally a co-owner of EMF conditionality. Finally, under the proposed EMF Statute, compliance with conditionality is being monitored solely by the Commission, in liaison with the ECB. No role is explicitly provided for the EMF in this critical phase. At the beginning of the crisis, when the idea of a financial assistance mechanism for Eurozone Members was first tabled, Art. 125(1) TFEU appeared to many as a critical legal obstacle. Art. 125(1) TFEU contains two sentences with two identical prohibitions. The first is directed to the EU and the second to the Member States. Both the Union and the Member States “shall not be liable for or assume the commitments” of (another) Eurozone Member State. Considering that ESM assistance could be seen as indirectly amounting to an assumption of commitments, the Member States thought necessary in 2011 to introduce Art. 136(3) in the TFEU. According to this provision, “[t]he Member States whose currency is the euro may establish a stability mechanism to be activated if indispensable to safeguard the stability of the euro area as a whole. The granting of any required financial assistance under the mechanism will be made subject to strict conditionality”. Drafted with the ESM in mind, Art. 136(3) TFEU only refers to the establishment of a fund by Member States and not by the EU. It thus “clarifies” only the second sentence of Art. 125(1) TFEU. Does that mean that establishing the EMF as an EU body contravenes Art. 125(1) first sentence TFEU? The answer is no. In Pringle, the CJEU adopted an interpretation of Art. 125(1) TFEU that allows financial assistance if it is indispensable for the stability of the Eurozone and is coupled with “strict conditionality”. Although in Pringle the Court was called to interpret the second sentence of Art. 125(1) TFEU, that is directed to the Member States, the first sentence, which will be relevant for the EMF, should be read in the same way: a Fund established by the EU that meets Pringle-conditions is compatible with Art. 125(1) TFEU. Whether the Commission’s proposal is fully Pringle-compatible, however, is not straightforward. The proposal introduces a fundamental difference to the ESMT that seems to go unnoticed in Commission’s explanations of the proposal. It refers to the objective of the EMF and the conditions for offering assistance. Currently, under Arts 3(2) and 12 ESMT, assistance is possible “if indispensable to safeguard the financial stability of the euro area as a whole and of its Member States”. According to the Commission’s proposal, however, the EMF can provide assistance if “indispensable to safeguard the financial stability of the euro area or of its Members” (emphasis added). Deleting the phrase “as a whole” (in Art. 12) and replacing “and” with “or” (in Arts 3(2) and 12 of the proposed Statute) means that a crisis that threatens the stability of a single Member State but not the euro area as a whole can (and shall) prompt action from the EMF. This is a very important shift of focus from Eurozone to the Member States. Under the proposal, the EMF is a “unique body of EU law”, independent, and governed by its own Board of Governors and Board of Directors. In order to be compatible with the Meroni principle (the EU law principle which limits the delegation of powers), Art. 3(1) of the proposed Regulation requires that the Council is responsible for approving a series of important decisions of the EMF Board of Governors and Board of Directors. The Council approves these decisions following the qualified majority rules provided in Art. 238(3) TFEU. This arrangement creates two complications. First, the majority required for Council approval is different from that envisaged in Art. 4 EMF Statute both in terms of the necessary thresholds and the basis for their calculation. Art. 238(3) TFEU requires 55% of the members of the Council representing the participating Member States, comprising at least 65% of the population of these States while Art. 4 EMF Statute requires 85% of voting rights that are equal to the number of share allocated to it in the authorised capital stock of the EMF. It is thus legally possible that a decision that has the support of 85% of voting rights/shares is not backed by the minimum of 11 Member States required in the Council. Second, the Council approval makes the Council, an institution of the whole of the EU, responsible (also judicially) for the decisions of the EMF, a body of the euro area. Moreover, the proposed Regulation claims to make the EMF accountable to the European Parliament. The EMF is required to submit reports, respond to oral and written questions, and accept invitations to its Managing Director. There are two difficulties with such an accountability scheme. First, these are only reporting obligations and do not allow the Parliament any influence in the actual decision-making of the EMF. Second, the European Parliament may not be an adequate forum for EMF accountability purposes in the first place. Members of the EMF are only euro area Members, but in the European Parliament and the Council all EU Member States are being given seats, not only those that have adopted the euro. The EMF is thus made accountable to institutions with a different composition than the Members that provide for its capital. Is Art. 352 TFEU a sufficient legal basis? The Commission suggests as legal basis of the proposed EMF Regulation the flexibility clause of Art. 352 TFEU. Art. 352 TFEU allows the Council to adopt measures when Union action is necessary to attain one of the objectives set out in the Treaties and the Treaties have not provided the necessary powers in other provisions. The latter condition is easily met in this case. In Pringle, the CJEU ruled that the Treaties, and Articles 2(3), 5(1), 122(2), and 143(2) TFEU in particular, do not contain an appropriate legal basis for the establishment of a stability mechanism. Moreover, the objective of the EMF, namely to ensure the financial stability of the euro area, does fall within the Union objective to establish an economic and monetary union. The critical question for the applicability of Art. 352 TFEU is whether the establishment of the EMF is also “necessary” to attain those objectives. Here, the picture gets more complicated. Since the establishment of the ESM in 2012, the Eurozone disposes of a financial assistance mechanism to assist Members in distress and to safeguard Eurozone stability. That might mean that the establishment of the EMF by means of a Regulation is not any more necessary. In order to satisfy Art. 352 TFEU, what needs to pass the necessity test is not the existence of an assistance fund – such a fund already exists; it is rather the integration of the fund in the EU framework that the Commission must prove to be necessary. This is a more difficult test for the EMF proposal. A final issue with regard to Art. 352 TFEU has to do with the extension of Union competences. In its Opinion 2/94, the CJEU has ruled that Art 352 TFEU “cannot serve as a basis for widening the scope of [Union] powers beyond the general framework created by the provisions of the Treaty as a whole and, in particular, by those that define the tasks and the activities of the [Union].” The question in this context is whether a future EMF – a Union body – that employs “strict conditionality” to its funding programmes goes beyond the allocation of powers the Union, which in the field of economic policy has simply coordinating competences. The Eurozone experience shows that this is possible. The macroeconomic conditions that have been tied to financial-assistance packages since the beginning of the crisis seem to go beyond coordination in intensity and beyond EU competences in breadth. As long as ESM was an intergovernmental organization this did not pose such critical competences question – although it has been raised with regard to the Two Pack reforms. This critical question, which goes directly into the question of the extent to which the Treaties allow a real economic Union, will need to be revisited if the EMF plans succeed. The gig economy is on the rise precipitating much discussion about working conditions –from working time to remuneration and from maternity and paternity protection to the all important classification of individuals working in the gig economy pool (see, eg, here and here). The case of King marks the debut of CJEU judgments related to the regulation of business conduct and worker’s rights in the gig economy. Here, the CJEU upholds the right of a self-employed worker to indeterminately carry over entitlements deriving from unexercised paid leave, while it protects Mr King’s right to an effective remedy before the courts. The story continues with the Court’s much debated Uber decision (discussed here), which reportedly blows in the face of businesses and becomes a stepping stone to more comprehensive protection of the gig economy worker (here). Perhaps somewhat surprisingly for those familiar with the Court’s often dismissive approach to labour rights (see, eg, here), the CJEU now seems, at least at first sight, reluctant to leave the gig economy unregulated and to turn its back on gig economy labour forces. Very briefly, the Court in Uber classifies the company as a provider that ‘offers urban transport services’ [para 38] rather than as a mere intermediary between drivers and clients, as the company itself maintains. The tangible effect of this decision is the subordination of Uber to national regulatory measures. A less visible corollary of the case will be Uber’s increased responsibilities towards its drivers. The case of King, touching as it does upon the crucial matter of paid leave, has a more visible effect on workers. So much so, that the press was quick to present the decision as a breakthrough for gig economy workers at large (here). 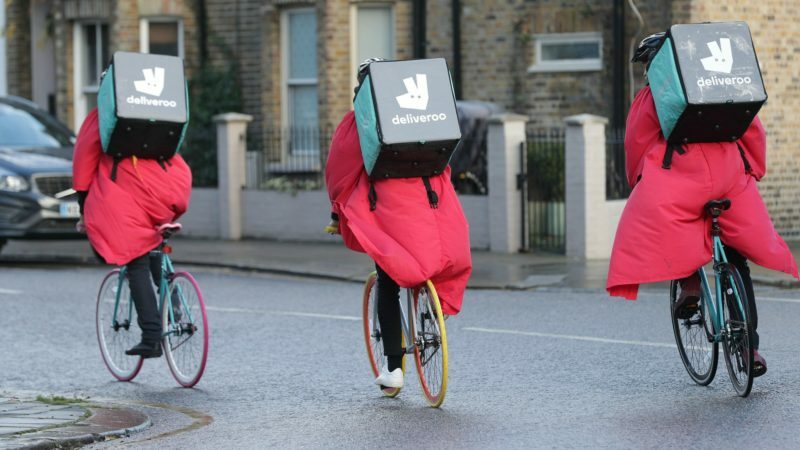 However, the extent to which the case makes headway in bringing gig economy workers as a whole under the protective ambit of employment rights is a matter that is not entirely straightforward. Upon his dismissal in 2012, Mr King brought his case to the Employment Tribunal. Mr King succeeded in his claims that the dismissal was grounded upon discrimination on the basis of age and that he satisfied the definition of ‘worker’ for the purposes of the UK Working Time Regulations, implementing Directive 2003/88 (the ‘working time Directive’. The Employment Tribunal further found that Mr King was entitled to recover the sum of his untaken paid leave for his final year with SWWL, as well as the sum amounting to holiday he had taken from 1999 until 2012 and which had remained unpaid throughout his thirteen years of work. So much remained undisputed by SWWL. However, the Employment Tribunal’s final finding, namely that Mr King was further entitled to recover the sum for any leave not actually taken during his work with SWWL, was appealed to the Employment Appeal Tribunal (‘EAT’). The latter accepted the appeal and passed the case back on the Employment Tribunal for reconsideration. According to the EAT’s line of argument, King would have to first take (unpaid) leave and subsequently raise a claim related to payment of that leave. This finding was primarily based on Regulation 13(9) of the domestic implementing legislation, which establishes that leave can only be taken in the relevant leave year and, if not, it cannot be replaced by payment in lieu, unless employment has been terminated. Regulation 30 further establishes that ‘[a] worker may present a complaint to an employment tribunal that his employer’ has either not allowed him annual leave or ‘has failed to pay him the whole or any part of any amount due to him’ in respect of annual leave. Logically then, failure to pay shall precede any complaint presented. The time limit for the complaint, laid down in Regulation 30(2)), is set at three months after the claim arises or at whatever period the tribunal considers appropriate where ‘it was not reasonably practicable for the complaint to be presented’. When that complaint is not presented in time then any entitlement, and in this case Mr King’s entitlement, shall be lost. Mr King was of a different opinion. As failure to take annual leave was a direct result of his employer’s refusal to pay, the relevant rights were carried over from year to year until his termination of employment. His claim was therefore brought in time. The EAT’s decision was, thus, appealed to the Court of Appeal, which referred five questions, of both a procedural and a substantive nature, to the CJEU. In a nutshell, the Court of Appeal asked whether the ‘use it or lose it’ approach of the Regulations is compatible with the right to an effective remedy. The question targeted the EAT’s interpretation that a worker can bring a complaint only upon taking leave, which the employer refuses to pay. The Court further asked if the right to paid leave carries over beyond the relevant leave year, in cases where non-exercise of that right is caused by the employer’s refusal to pay. If so, how long does that right carry over for? The CJEU commenced on its assessment by emphasising the social significance of the right to paid leave. The Court was quick to bring the EU Charter of Fundamental Rights into its reasoning, referring in particular to article 31(2), which lays down the right to paid annual leave. The purpose of Directive 2003/88 read in the light of the Charter is to allow the worker to enjoy annual leave under conditions of remuneration comparable to those of working periods: the right to paid leave cannot be ‘subject to any preconditions whatsoever’ [para 33]. If leave itself or remuneration become uncertain as a result of the employer’s conduct, then the right is in jeopardy. On the basis of the above, the CJEU rejected the EAT’s interpretation of the Regulations as incompatible with the Directive: ‘in the case of a worker in a situation such as that of Mr King, if the national remedies are interpreted as indicated [by the EAT], it is impossible for that worker to invoke, after termination of the employment relationship, a breach of Article 7 of Directive 2003/88 in respect of paid leave due but not taken, in order to receive the allowance referred to in paragraph 2 of that article. A worker such as Mr King would thus be deprived of an effective remedy’ [para 46]. As such, a complaint cannot be exclusively available after the employer has refused to pay for a leave already taken. This is so, despite the fact that the Directive itself is silent on remedies, not least because the Charter enshrines the right to an effective remedy in article 47 [para 41]. With respect to a worker’s ability to carry over paid annual leave rights, the Court first recognised that Mr King did not exercise his rights for reasons beyond his control. Whether or not Mr King was in the meantime offered employee status was irrelevant for the CJEU, which looked at the worker’s status as it ‘existed and persisted’ until retirement, whatever the reason for that status may be [para 50]. According to the Court’s settled case law on absence due to sickness, allowance in lieu should be available to those unable to exercise paid leave rights for reasons beyond their control. However, a carry over limit of fifteen months should be equally acceptable, given that the Court also has regard to ‘the protection of employers faced with the risk that a worker will accumulate periods of absence of too great a length and the difficulties in the organisation of work which such periods might entail’ [para 55]. The question thus came down to whether Mr King’s situation was comparable to absence due to sickness. ‘It must be noted that the assessment of the right of a worker, such as Mr King, to paid annual leave is not connected to a situation in which his employer was faced with periods of his absence which, as with long-term sickness absence, would have led to difficulties in the organisation of work. On the contrary, the employer was able to benefit, until Mr King retired, from the fact that he did not interrupt his professional activity in its service in order to take paid annual leave’ [para 60]. The Court concluded that ‘an employer that does not allow a worker to exercise his right to paid annual leave must bear the consequences’ [para 63], which in this case amounted to the sum due for all leaves untaken by Mr King over the years. At the outset, King is a case that gives recognition to a significant employment right and should be welcome on that ground alone. The Court did not shy way from stretching the outer limits of the right to paid leave and fired straight at the employer. In symbolic terms, the case seems equally interesting, with the CJEU’s diction hinting at a robust defence of what the Court calls ‘EU social law’ against the interests of the employer. Reliance on the Charter as a leg-up in the Court’s broad interpretation of the right is also interesting, albeit, I think, not necessarily decisive for this case. The point of a purposive interpretation, like the one pursued by the Court here, is precisely that it needs not rely on text (see here). The Court could have decided much the same without the Charter’s assistance. That said, the decision is a harsh message to businesses engaging freelancers or generally workers that lack employee status. Nevertheless, the significance of King for gig economy worker rights at large should not be overestimated. The grand scheme of things suggests that, whereas workers in the gig economy can win the small individual battles before the Court, the CJEU is unwilling to open up the way to wide-ranging protection. To begin with, Mr King’s worker status was not under dispute, thus disburdening the CJEU of examination of the personal scope of the right to paid leave. In other words, the Court did not discuss applicability of that right to gig economy workers as such. As the AG notes in his Opinion, the case was effectively concerned with the essence, rather than the existence, of the right [para 30]. In light of this, it could be argued that the Court’s primary concern was to interpret the right and only at a secondary level to protect the gig economy worker. Certainly, the specificities of the case, and of Mr King’s situation, render this a consequential decision for many workers in the gig economy. Nevertheless, the extent to which the relevant legislation will cover a gig economy worker remains contingent upon each individual worker’s exact employment status. What is perhaps more important is that, once King is compared to the Court’s approach to collective labour rights in the gig economy, the picture becomes even less promising. Indeed, the social dimension of employment rights emphasised in King appears to be neglected in cases dealing with collective labour rights of the gig economy worker. It is now established case law of the Court that collective bodies representing self-employed workers pursue an economic activity and are therefore caught by the restrictive framework of competition law rules (see Pavlov). This is so, the Court has aegued, despite these bodies’ pursuit of a social objective [Pavlov, para 118]. The importance of Pavlov is put down not to the specific facts of the case but to the Court’s refusal to invest a body representing self-employed workers with equal protection as, eg, collective bargaining agreements between employers and employees (see, eg, Albany). On the contrary, the Court has noted that ‘the Treaty contains no provisions (…) encouraging the members of the liberal professions to conclude collective agreements with a view to improving their terms of employment and working conditions (…)’ [para 69]. Worse even, in the more recent FNW Kunsten, the Court declared in unequivocal terms that ‘in so far as an organisation representing workers carries out negotiations acting in the name, and on behalf, of those self-employed persons who are its members, it does not act as a trade union association and therefore as a social partner, but, in reality, acts as an association of undertakings’ [para 28] and therefore falls within the scope of competition law rules. All things considered, the Court appears to be adopting double standards. It is ready to recognise the social significance of the right to paid leave of an individual freelancer, yet it stops short of shielding the right of the self-employed worker to collective bargaining. One way forward, then, would be for the Court to recognise individual rights piecemeal, as in King. Another way would be for individuals to rely on the courts, European or domestic, for an inclusive approach to self-employed workers, as in Aslam. Here, the worker status of Uber drivers, recognised by the Employment Tribunal and upheld by the EAT, placed these individuals within the protective ambit of the National Minimum Wage Act and the Working Time Regulations. Like Mr King, the status of Uber drivers as workers for the purposes of these pieces of legislation is now beyond dispute. It is, however, doubtful whether any of the above would be able to negotiate their salary or pension through collective bargaining free from the burden of EU competition law rules. A third way forward would perhaps be for the CJEU to recognise the social significance of bargaining rights and to guarantee them for gig economy workers. Only then, I think, will it be justified to say that the war was won. King wins a battle but the war is ongoing: when an employment right can be defended individually before the court, but not collectively in the field –even where that right is upheld– I shall remain hesitant to ring victory bell for gig economy workers. On Monday 29th January, the EU Council is due to adopt its negotiating directives relating to the second phase of Brexit talks, mainly concerning a transition period after Brexit Day when substantive EU law will still apply to the UK. The apparently final version of those negotiating directives has been leaked, and so I have taken the opportunity to annotate them in detail. I will amend this blog post if it turns out that the leaked draft is further amended when it becomes final. The EU27 position still has to be agreed with the UK, of course. The UK set out its view on a transitional period in the Prime Minister’s Florence speech last September, which I commented on here and here. There seem to be some broad areas of agreement between the two sides’ positions, but there will likely be some important differences of detail to negotiate. Furthermore, phase 2 of the negotiations will build on from the partial agreement on Brexit issues in December, which I discussed here (as regards the acquired rights of EU27 citizens in the UK, and EU citizens in the EU27) and here (as regards other issues). These negotiation directives build upon the broader Phase 2 negotiation guidelines which EU27 leaders (the ‘European Council’) adopted in December. They are also based on a proposal from the EU Commission in December, but the Council has changed some of the Commission proposal. Where those changes are significant, I note what they are. 1. In line with the European Council guidelines of 29 April 2017 and the Council negotiating directives of 22 May 2017, the first phase of the negotiations focused on the rights of citizens, the financial settlement, the issues relating to the island of Ireland, other separation issues, and the governance of the Withdrawal Agreement. 2. Noting the progress made so far, on 20 October 2017, the European Council called for work to continue with a view to consolidating the convergence achieved and pursuing negotiations in order to be able to move to the second phase of the negotiations as soon as possible. The European Council thus invited the Council and together with the Union negotiator to start internal preparatory discussions, including on possible transitional arrangements. the European Council, on 15 December 2017, welcomed the progress achieved during the first phase of the negotiations and decided that it was sufficient to move to the second phase related to transition and the framework for the future relationship. 4. The European Council also made clear that negotiations in the second phase could only progress as long as all commitments undertaken during the first phase were respected in full and translated faithfully in legal terms as quickly as possible. During the second phase of the negotiations, an overall understanding on the framework for the future relationship of the Union with the United Kingdom should also be reached. For that purpose, the European Council decided that it would adopt additional guidelines on this framework in March 2018 and called for further clarity on the United Kingdom’s position on the framework for the future relationship. 5. The present set of negotiating directives supplements the first set of negotiating directives adopted on 22 May 2017. The European Council guidelines of 29 April 2017 as well as the general principles and the procedural arrangements for the conduct of the negotiations established in the Council negotiating directives of 22 May 2017 continue to apply in their entirety to this phase of the negotiations, including as regards the territorial scope of the withdrawal agreement, including its provisions on transitional arrangements, and of the future framework; these negotiating directives should therefore, as the first set of the negotiating directives, fully respect paragraphs 4 and 24 of the European Council guidelines of 29 April 2017, notably as regards Gibraltar. Note that this refers to a Spanish veto on any post-Brexit arrangements on the relationship between Gibraltar and the EU. 6. During the second phase of the negotiations, in view of the unique circumstances and specific nature of issues related to the island of Ireland, the work on detailed arrangements required to give effect to the principles and commitments set out in the Joint Report should continue in a distinct strand. Note: the final version drops the following words proposed by the Commission: ‘…some of which would be translated in the Withdrawal Agreement, others in the framework for the future relationship.’ The original wording meant that some issues related to Ireland would definitely be addressed as post-Brexit issues. Dropping this wording suggests that they will either be fully addressed in the withdrawal agreement, or leaves the issue open. In practice it will be difficult to address them all in the withdrawal agreement, since they are unavoidably closely linked to the future relationship. The words ‘unique circumstances’ were also added. I discussed the issues relating to the Irish border, as set out in the December joint report, here. 6.a Since the arrangements applicable to relations between the Union and the Sovereign Base Areas in Cyprus will continue to be defined within the context of the Republic of Cyprus’ membership of the Union, appropriate arrangements should be determined during the negotiations as necessary, to achieve the objectives set out in Protocol 3 to the Act of Accession of the Republic of Cyprus to the Union. This entire paragraph was added. 7. In line with the European Council guidelines of 15 December 2017 and with the negotiating directives annexed to the Council Decision of 22 May 2017 as supplemented by these negotiating directives, it is necessary to complete the work on all withdrawal issues, including those not yet addressed in the first phase. These include – without being confined to – issues such as the governance of the Withdrawal Agreement, intellectual property rights, ongoing public procurement procedures, customs-related matters needed for an orderly withdrawal from the Union, protection of personal data and use of information obtained or processed before the withdrawal date. The entire second sentence was added by the Council. Commission negotiation papers on these subjects can be found here. Note that there was partial agreement on some of the ‘winding up’ issues in the December joint report, as I discussed here. Technically there is no need to include these issues in the withdrawal agreement if the UK is going to continue applying the status quo of EU membership for awhile; they could be addressed as part of ending the transition period. But the EU27 side seems keen to wrap them up now. The governance issues include dispute settlement, where the exact role of the ECJ will be difficult to agree. 8. Negotiations in the second phase should furthermore translate into clear and unambiguous legal terms the results of the negotiations, including those obtained during the first phase, which should, where appropriate, be adapted in the light of the existence of the transitional arrangements referred to below. In particular, the provisions of the Citizens' rights part of the withdrawal agreement should apply as from the end of the transition period. The 'specified date' referred to in paragraph 8 of the Joint Report should consequently be defined as that of the end of the transitional period. This paragraph emphasises the importance of drawing up a formal legal text of the withdrawal agreement. When and if agreed and ratified, that text will be the decisive legal basis for the UK/EU27 withdrawal process – not negotiation documents like these. The position that the cut-off date for acquired rights of EU27 citizens in the UK/UK citizens in the EU27 will be the end of the transition period reflects the prior view of the Commission. The UK side may well object to this. I discussed the citizens’ rights provisions of the joint report in more detail here. As I noted, while some issues have been agreed in detail, some points – like the freedom of UK citizens in one Member State to move to other Member States – were left for further discussion. – the Union will preserve its autonomy as regards its decision-making as well as the role of the Court of Justice of the European Union. According to the European Council guidelines of 15 December 2017, this refers notably to the competence of the Court of Justice of the European Union. 10. In addition to these core principles, the European Council guidelines of 29 April 2017 set out specific conditions applicable to any possible transitional arrangements. To the extent necessary and legally possible, the negotiations may seek to determine transitional arrangements which are in the interest of the Union and, as appropriate, to provide for bridges towards the foreseeable framework for the future relationship in the light of the progress made. As reiterated by the European Council Guidelines of 15 December 2017, any such transitional arrangements must be clearly defined, and precisely limited in time. They must also be subject to effective enforcement mechanisms. 11. These supplementary negotiating directives are based on and further develop the principles and conditions laid down in the European Council guidelines of 15 December 2017. 12. In line with those guidelines, which further specify and develop the core principles laid out in the European Council guidelines of 29 April 2017, any transitional arrangements provided for in the Withdrawal Agreement should cover the whole of the Union acquis, including Euratom matters. Notwithstanding paragraph 17 of these negotiating directives, the Union acquis should apply to and in the United Kingdom as if it were a Member State. Any changes to the Union acquis should automatically apply to and in the United Kingdom during the transition period. For acts adopted in the Area of Freedom, Security and Justice by which the United Kingdom is bound before its withdrawal, Articles 4a of Protocol (No 21) and 5 of Protocol (No 19) annexed to the Treaties, which allow the United Kingdom not to participate in an act amending a measure by which it is already bound, should continue to apply during the transition period including the possibility for the Union to determine that this non participation would make the relevant measure inoperable and therefore that the measure should cease to apply to the United Kingdom. The United Kingdom should however no longer be allowed to opt-in to measures in this Area other than those amending, replacing or building upon the above mentioned existing acts. As for the application of new EU laws, there will be a slowdown in EU legislative activity between about May and December 2019 due to the European Parliament elections and the changeover of the Commission. Many measures adopted afterward won’t apply to the UK anyway, if the transitional period ends as proposed at the end of 2020, because Directives usually have a two-year deadline to implement them and the main focus will be on adopting new funding legislation, which won’t apply until after 2020 either. Note that the UK will lose the right of veto which has it has now in areas such as tax and foreign policy rules. However, the December joint report noted that the UK would not be bound by changes to the basic laws on revenue and spending – so the UK will keep its budget rebate until the end of 2020. The legalese on the ‘Area of Freedom, Security and Justice’ means that the UK will still be able to opt in to new EU legislation on EU asylum, criminal law or policing, but only on the condition that such legislation amends existing EU legislation. (In most cases, it does). Where such legislation is entirely new, ie not amending existing law, the UK loses the right to opt in, and will not be bound. The current rule that the UK can be ‘thrown out’ of existing laws in this area if it does not opt in to measures amending those existing laws will still apply. (That power has not been used to date). 13. During the transition period, Union law covered by these transitional arrangements should deploy in the United Kingdom the same legal effects as those which it deploys within the Member States of the Union. This means, in particular, that the direct effect and primacy of Union law should be preserved. The final sentence was added by the Council. 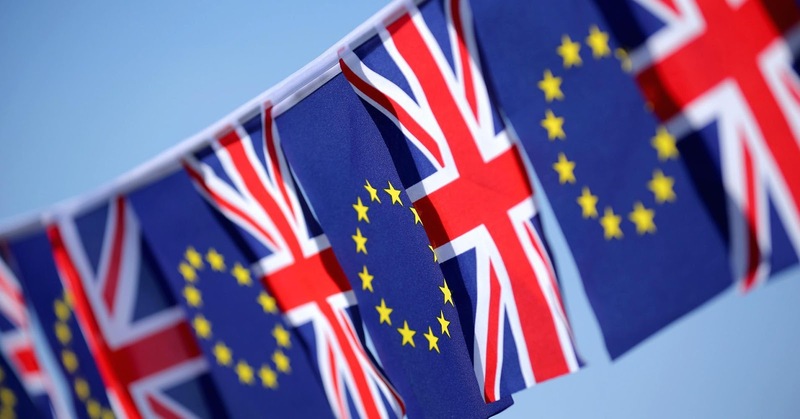 This means that the current rules on the legal effect of EU law in the UK domestic legal systems would not be changed during the transitional period. The UK has previously agreed to this as regards acquired rights of EU27 citizens, as I discussed here. 14. During the transition period, and in line with the European Council guidelines of 29 April 2017, the United Kingdom will remain bound by the obligations stemming from the agreements concluded by the Union, or by Member States acting on its behalf, or by the Union and its Member States acting jointly, while the United Kingdom should however no longer participate in any bodies set up by those agreements. The Council replaced the words ‘will no longer benefit from’ with ‘will remain bound by the obligations stemming from’. It also deleted the words ‘Where it is in the interest of the Union, the Union may consider whether and how arrangements can be agreed that would maintain the effects of the agreements as regards the United Kingdom during the transition period’. The intention seems to be that the UK will still have obligations to the EU to apply agreements concluded with non-EU countries by the EU (or the EU jointly with its Member States). However, since the withdrawal agreement cannot bind non-EU countries, those non-EU countries will no longer have obligations to the UK, unless they agree with the UK to continue their existing obligations in force. The negotiation of treaties between the UK and non-EU countries is the subject of the next paragraph. 15. In line with the European Council guidelines of 15 December 2017, any transitional arrangements require the United Kingdom's continued participation in the Customs Union and the Single Market (with all four freedoms) during the transition. The United Kingdom should take all necessary measures to preserve the integrity of the Single Market and of the Customs Union. The United Kingdom should continue to comply with the Union trade policy. It should also in particular ensure that its customs authorities continue to act in accordance with the mission of EU customs authorities including by collecting Common Customs Tariff duties and by performing all checks required under Union law at the border vis-à-vis other third countries. During the transition period, the United Kingdom may not become bound by international agreements entered into in its own capacity in the fields of competence of Union law, unless authorised to do so by the Union. The final sentence was added by the Council. This paragraph ensures no change in the application of the single market or the customs union to the UK during the transitional period. The limit on the UK’s power to enter into treaties raises questions. This only applies if such treaties are within the EU’s fields of competence; but for EU members there is complex external relations case law of the ECJ which states when they can sign treaties even within areas of law that the EU could also sign treaties in. It is not clear if the intention is to replicate that case law, or rather to subject to the UK to more constraints than it would have as a Member State. 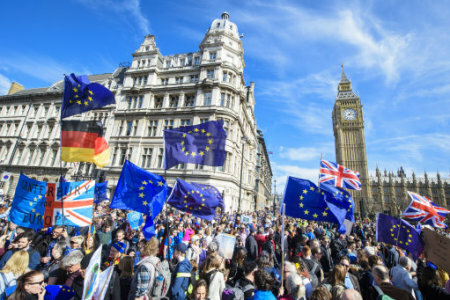 For the UK side, the key point may be whether it is free to negotiate and sign treaties within the transitional period, even if those treaties only come into force afterward. The negotiation directives are silent on this issue. The UK might also reasonably argue that simply replicating its existing rights and obligations in a new treaty with a non-EU country should be approved by the EU, or should not need EU approval at all. 16. In line with the European Council guidelines of 29 April 2017 and the first set of negotiating directives of 22 May 2017, any time-limited prolongation of the Union acquis requires existing Union regulatory, budgetary, supervisory, judiciary and enforcement instruments and structures to apply, including the competence of the Court of Justice of the European Union. 17. In relation to the application of the Union acquis to the United Kingdom, the Withdrawal Agreement should therefore, during the transitional period, preserve the full competences of the Union institutions (in particular the full jurisdiction of the Court of Justice of the European Union), bodies, offices and agencies in relation to the United Kingdom and to United Kingdom natural or legal persons. In particular, Union institutions, bodies and agencies should conduct all supervision and control proceedings foreseen by Union law. In line with the European Council guidelines of 15 December 2017, the United Kingdom will however no longer participate in or nominate or elect members of the Union institutions, nor participate in the decision-making or the governance of the Union bodies, offices and agencies. The second sentence was added by the Council. The text means that the UK will not be part of the EU’s institutions (such as the Council, Commission, European Parliament or EU court) but will still be subject to their decisions, as noted above. While the text refers to applying all of the current powers of the ECJ, in practice the EU27 side previously agreed to more limited powers for the ECJ as regards citizens’ rights, as I discussed here. – where the presence of the United Kingdom is necessary from a Union perspective for the effective implementation of the acquis during the transition period. The Regulation referred to sets out general rules on control of the Commission when it adopts measures implementing EU legislation. 19. The Withdrawal Agreement should define the precise conditions and the clear framework under which such exceptional attendance should be allowed. 20. Specific consultations should also be foreseen with regard to for the fixing of fishing opportunities during the transition period, in full respect of the Union acquis. 21. The transition period should apply as from the date of entry into force of the Withdrawal Agreement and should not last beyond 31 December 2020. This date is convenient for the EU27 side as it coincides with the end of the current multi-year budget cycle. There is no reference to any possible extension of the transitional period, and paragraph 10 states that the period should be ‘precisely limited’ in time. Any idea that the period should be extended indefinitely could potentially spark legal challenges. It would be possible to sign a new agreement post-Brexit that would extend the transitional period, but this would surely require unanimous agreement and possibly also national ratification in part. What happens if a non-EU citizen has a residence permit from one Member State, but another Member State wants to expel him? The Court of Justice addressed this issue for the first time in its ruling last week in the case of E.
This issue is complicated because there are two different relevant sources of EU law, which have not been linked very clearly. First of all, Article 25 of the Schengen Convention, as amended in 2010, states that if a Member State considers issuing a residence permit or long-stay visa, it shall search the Schengen Information System (SIS), which (among other things) contains a list of non-EU citizens banned from entry into the EU. Each listing is called an ‘alert’. If there is an alert on the person concerned, the Member State that wants to issue the residence permit or long-stay visa shall consult the Member State which issued the alert and ‘take account of its interests’, granting a residence permit or or long-stay visa only for ‘substantive reasons…notably on humanitarian grounds for by reason of international commitments’. If a residence permit or long-stay visa is issued, the alert in the SIS must be withdrawn, but the Member State which issued it can keep the person concerned on a national list of alerts. There’s also an obligation to check national records of long-stay visas or residence permits before issuing alerts. A similar rule applies the other way around: if it turns out that an alert has been issued for a non-EU citizen who holds a residence permit or long-stay visa from another Member State, the Member State which issued the alert must consult the Member State which issued the residence permit or long-stay visa, to see if there are ‘sufficient reasons’ for withdrawing the permit. In these cases there is more discretion for the State which had already granted residence: there is no threshold to justify continuing the residence permit in force. If the residence permit or long-stay visa is not withdrawn, again the State issuing the alert must withdraw it from the SIS, but can keep the person on a national list of people banned from entry. It’s this second rule which was at issue in the E case. But the Schengen rules concern only SIS alerts based on entry bans, not the issue of expulsion or the entry bans as such. Those issues are dealt with by the Returns Directive, which in principle requires Member States to expel non-EU citizens who are present irregularly. Usually they must be expelled to non-EU countries, but there’s an exception if they have a residence permit or other right to stay issued by a Member State. In that case they must go to that other Member State immediately. If they don’t comply, or if their immediate departure ‘is required for reasons of public policy or national security’, then they can be expelled directly to a non-EU country. The Returns Directive also requires Member States to issue EU-wide entry bans in many cases where expulsion decisions have been issued. However, it does not expressly set out the obvious implication that this means an alert must be issued in the SIS. A Commission proposal from 2016 fills this gap. That proposal also incorporates the current rules on consultation where there is a conflict between an alert and a residence permit or long-stay visa, with some amendments. This proposal is likely to be agreed soon, as both the European Parliament and the Council adopted their negotiation positions on it late last year. A parallel proposal on use of the SIS at borders would also regulate the link between the Returns Directive and the SIS in its Article 24, and furthermore repeal Article 25 of the Schengen Convention. It remains to be seen whether the recent judgment might impact the discussions of the legislators on these proposals. A Nigerian national, E, who held a valid residence permit issued by Spain and had lived there for 14 years (and had family ties there) was convicted of a narcotics offence in Finland and sentenced to five years imprisonment (subsequently commuted to a suspended sentence). The Finnish authorities ordered E’s immediate expulsion to Nigeria on grounds of public order and national security together with an entry ban on his return. In accordance with their obligations under Article 25 of the Schengen Convention, the Finnish authorities contacted their Spanish counterparts to consult on whether there were sufficient reasons to withdraw the residence permit. The Spanish authorities did not respond. On a second request by the Finnish authorities, their Spanish counterparts asked for a copy of the judgment convicting E (which the Finnish authorities sent). Thereafter, and following two unsuccessful attempts to consult the Spanish authorities, it seems that the Finnish authorities sought to carry out their order. In the meantime, E became irregularly present in Finland as he had stayed there more than 90 days out of the previous 180, which is the limit on movement of non-EU citizens (including those holding a residence permit from another Member State) under the Schengen system. E appealed and the Finnish Supreme Administrative Court stayed the proceedings and asked the Court of Justice to clarify whether Article 25 CISA permits the expulsion to Nigeria of E without the completion of the mandatory consultations with the Spanish authorities. The issue was complicated by the fact that Article 25 of the Schengen Convention on its face is designed to resolve conflicts between Member States regarding conflict between residence permits and SIS alerts. There is no obvious place for the individual in the process. So the Finnish court also asked whether E could rely on Article 25 CISA at all. The first question the Court had to resolve was when consultations between States must take place. The Court had regard to the objective of Article 25 of the Schengen Convention. In its view this objective is ‘to avoid a contradictory situation in which a third-country national is both holder of a valid residence permit issued by a Contracting State and the subject of an alert for the purposes of refusing entry in the Schengen Information System’ (para 38). This objective must be read in conjunction with the principle of loyal cooperation in Article 4(3) TEU which means, according to the Court, that the consultation procedure should be initiated as quickly as possible (para 39). For this reason, the Court found that when a state is contemplating issuing an expulsion decision and entry ban on a third country national holding a valid residence permit from another Member State, the consultation should start as soon as possible and does not need to be delayed until a SIS alert has been made. The Court decided the third and fourth questions together – rephrasing them as the issue of the failure to respond by the authorities of another Member State and what if any inferences the expelling Member State is entitled to draw as a result. The first thing the Court noted is that the Schengen system only applies to short visits of 90 days out of every 180. Residence permits on the other hand are issued mainly under national law (para 41 – surprising considering how much of EU migration law has been made subject to Directives). As noted above, the Returns Directive in principle requires Member States to expel all non-EU citizens who are not (or no longer) lawfully present, but where the person concerned has a valid residence permit in another Member State, he or she must be entitled to travel to the Member State which issued the residence permit. He or she cannot be expelled to a third country (or his or her country of origin), except where he or she fails to return to the other Member State, or on grounds of national security or public policy (para 45). So how to interpret the latter exception? The Court reminded the Finnish authorities that in determining whether a third country national is a public policy or national security risk, the ‘Member State is required to assess the concept of ‘risk to public policy’, within the meaning of Article 7(4) of Directive 2008/115 on a case-by-case basis, in order to ascertain whether the personal conduct of the third-country national concerned poses a genuine and present risk to public policy, bearing in mind that the mere fact that that national has been criminally convicted is not sufficient by itself to present such a risk’ (para 49). This refers to a prior judgment on the voluntary departure rules in the Returns Directive, discussed here; it’s striking that there’s a high threshold to apply the ‘public policy’ clause. Clearly, although the facts are a matter for the national court, the EU Court possibly had doubts about whether the conviction of E met the requirements for expulsion to a non-EU country. The Court acknowledged that the Finnish authorities could issue an alert (entry ban) against E but they would have to withdraw it if the Spanish authorities did not withdraw E’s residence permit. The Court recognised that the Spanish authorities had failed to respond to the requests of their Finnish counterparts in a reasonable period of time. But the consequences of that failure are not meted out on the individual. Instead the Court held that so long as the residence permit had not been withdrawn, irrespective of the failure of the Spanish to comply with their duties under the consultation procedure, the Finnish authorities are under an obligation to withdraw their alert to stop re-entry. At that point the Finnish are free to put the third country national’s details on their own national alert system to prevent re-entry into Finland, but this does not have EU wide consequences. (Note that the proposed new legislation on returns and the SIS would set a deadline to reply to consultation requests, but would still not expressly determine what happens if the Member State does not reply in time). Finally, the Court addressed the first question – could E rely on the provisions of the Schengen Convention to prevent his expulsion to Nigeria, or are those provisions only legally binding (and accessible) to States? The Court found in favour of E – he is entitled to rely on the consultation procedure which gives rise to legal effects of importance to him (para 57). The reasoning of the Court was that as the consultation procedure is set out in a clear, precise and unconditional manner it is capable of giving rise to rights for individuals. Further, if in the consultation procedure, the state which issued the residence permit decides to maintain it, that also gives rise to a clear, precise and unconditional obligation on the expelling Member State to withdraw any alert to prevent re-entry into the Schengen area which it may have put in place (though it can keep a national re-entry ban in place) (para 59). This is a very interesting, if rather complex case. Three things are worth noting from it. First, as the Court has done in the case of the Dublin III Regulation, it has found that administrative provisions of EU laws which govern what states are supposed to do with people produce legal effects on which the affected people may rely. The individual can rely on EU law even where it is written in terms of inter-state procedures. The requirement is the same as that for direct effect – the provision must be clear, precise and unconditional. Secondly, the Court gives priority to the residence permit which has not been withdrawn over the expulsion decision and entry ban. So long as a Member State does nothing to withdraw a residence permit, another Member State cannot expel outside the Union the third country national except on limited grounds (but can oblige him or her to go to the Member State which issued the residence permit). It does not matter that the Member State which issued the residence permit has failed to comply with the rules on consultation. Thirdly, the complex intersection of the Schengen Convention, an agreement among Member States originally outside the scope of EU law and only integrated in an incomplete manner by the Amsterdam Treaty in 1999, and EU law proper – the regulations and directives – moves in the direction that the EU adopted measures are gradually replacing the provisions of the Convention. There is no ‘backward’ movement whereby Member States can ‘recover’ flexibility under the Convention which has been ruled out by subsequent EU law provisions. Indeed, this judgment demonstrates that EU law principles have prevailed over the intergovernmental nature of the Schengen Convention, not the other way around. Can an Article 50 notice of withdrawal from the EU be unilaterally revoked? 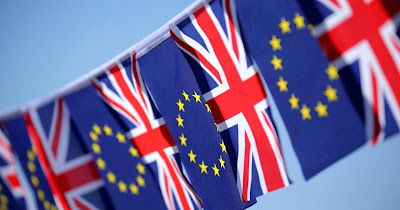 There is no sign that the UK government (or indeed the opposition Labour party) is considering revoking the UK’s notice of withdrawal from the EU, or that either would be interested in asking the British public to vote again on the question of EU membership. Yet, sparked by the latest attempt of Nigel Farage to draw attention to himself, the prospect of a further Brexit referendum – which necessarily assumes that the Article 50 notice is revocable in some way – continues to be a subject of public debate. In that context, and in light of a new European Parliament report on this issue, here’s an argument from Professor Stephen Weatherill arguing that the Article 50 notice cannot be unilaterally revoked – with the contrary argument from Professor Steve Peers. The recently published European Parliament paper entitled ‘The (ir-)revocability of the withdrawal notification under Article 50 TEU’ addresses an issue that may come to have very sharp significance in determining the options and directions taken in the unfolding Brexit circus. As its title suggests, the paper inquires into the question whether the withdrawal notification under Article 50 TEU is revocable or irrevocable, and, most poignant of all, it asks whether that withdrawal notification is unilaterally revocable. This will matter a lot should the UK repent of its decision to leave the EU. I argue here that the notification is not unilaterally revocable. The paper, authored by Ioannis Papageorgiou of the Parliament’s Policy Department for Citizens’ Rights and Constitutional Affairs, takes as its obvious starting-point that Article 50 TEU does not explicitly address the revocation of a withdrawal notification. It also notes that ultimately it is the Court of Justice that will provide an authoritative ruling, should it be provided with the opportunity (pages 6, 22). I agree. It observes that ‘Given the fact that Article 50 does not make any reference to revocation issues, both sides of the argument can be defended’ (pages 16, 21). I agree. It treats the Vienna Convention on the Law of Treaties as irrelevant, mainly because it is in the nature of the evolved EU legal order that answers are to be found within the EU system alone, as a self-contained system (pages 7-13, 24, 27). I agree. And the paper ably surveys both sides of the argument. At page 23 it is commented that ‘Among UK scholars and politicians there is a predominant position that a unilateral revocation is within the right of the UK’. I agree: there is such a predominant position. The purpose of this note is to argue against that predominant position. Consider first matters of design from the perspective of costs and incentives. A State that notifies an intention to withdraw within the meaning of Article 50 TEU and then wishes to change its mind has generated large costs. It has caused resources to be allocated to the negotiations which it wishes to terminate which could have been used for other purposes. To treat Article 50 TEU as capable of unilateral revocation means that the costs incurred lie where they fall: the repentant State covers its costs and the EU-27 (a term I use to denote the 27 member States plus the EU institutions) covers its costs. That means that the State that wished to leave, but which changed its mind, is able to externalise the costs incurred by the EU-27 as a result of its decision. That in turn reduces its incentives to make a full and careful calculation of the consequences of its action before it issues the Article 50 notification. By contrast an interpretation which denies that the notification made pursuant to Article 50 TEU may be revoked unilaterally, and which insists that instead revocation depends on the agreement of the EU-27, ensures that as part of that negotiation the repentant State may be required to meet the costs of its choices. It makes every sense to ensure that costs are imposed on the party that is most able to reduce those costs. That is the party that initiated the process in the first place by notifying an intention to withdraw which it then wished to revoke – here, the UK. As a general observation one may argue that it is a matter of simple justice that the party that has generated the costs should pay for those costs – more narrowly my argument here is that such an approach is desirable in order to preclude a State from externalising the costs of its actions, and thereby pushing it to consider fully in advance the costs involved. This militates in favour of denying a unilateral right of revocation, and instead ensures that revocation becomes part of a bargaining process within which costs can be allocated. A separate strand in the debate concentrates on democracy. Why should a State not be allowed to change its mind? If – perhaps as a result of a fresh referendum, perhaps following an election leading to a change of government – the people of that state have clearly decided they wish to remain in the EU, why should Article 50 be interpreted to thwart that expressed popular will? This is a good argument in favour of interpreting a notification pursuant to Article 50 to be revocable provided there is political agreement among the repentant state and the EU-27. It is a weak argument in favour of a unilateral right to revoke. A model that permits unilateral revocation entails that some of the costs incurred are borne by voters in the other Member States, albeit largely indirectly because they will be swallowed up by the overall EU budget. So voters in Germany, Italy and France and so on would be expected to pay for the consequences of decisions to leave and then, after a change of mind, to remain taken by the UK although those German, Italian and French voters have had no say at all, and can have no say at all, in influencing those decisions. Much of EU law is animated by the concern that decisions taken at national level have cross-border implications and that it is accordingly necessary to impose some discipline on the capacity of states to inflict harm on each other: this is why free movement law and the law governing State aids set limits to national regulatory autonomy. The rules of the EU constrain State practices because those affected by such practices in other Member States have no voice in the (national) political process that has generated them. A unilateral right to revoke an Article 50 notification would contradict this model. It would allow the revoking State to export costs to other States. Treating the Article 50 notification as irrevocable by unilateral act forces the parties to negotiate on the terms that shall attach to revocation, and this in turn ensures that (directly or indirectly) all parties which are affected by the preference to revoke have a say. In short, a revocation does not affect only the UK and so should not lie within the power of the UK alone. The argument so far is normative: based on concern to allocate costs in a way that maximises incentives to account in advance for choices made and on concern to ensure a voice for all affected parties, an Article 50 notification should be treated as incapable of unilateral revocation. But this normative argument cannot prevail if the terms of Article 50 contradict it. They don’t. Article 50 is of course silent on the question of revocation. So it is necessary to look at its structure and purpose. A case in favour of unilateral revocation is a case which serves to protect the flexibility enjoyed by the State which has issued a notification of its intention to withdraw. But that is not in line with either the structure or purpose of Article 50. Once the notification is made pursuant to Article 50, the terms of that Treaty provision dictate that the pace and content of the process is entirely subject to management by the EU-27 – which, to repeat, covers the other 27 Member States and the EU institutions. After notification, guidelines are provided by the European Council; the Union negotiates an agreement with the withdrawing State; it is to be concluded on behalf of the Union by the Council, acting by a qualified majority, after obtaining the consent of the European Parliament; the Treaties cease to apply to the withdrawing State from the date of entry into force of the withdrawal agreement or, failing that, two years after the notification unless the European Council, in agreement with the withdrawing Member State, unanimously decides to extend this period; and Article 50(4) shuts the withdrawing Member State out of the relevant discussions of the European Council and Council. This is all about the way in which the EU-27 shall act: it is not at all about the protection of the withdrawing State. The primary concern which underpins Article 50 is to ensure that, once a Member State has chosen to submit its notification of intention to withdraw, the interests of the 27 Member States and the EU institutions then come to the forefront and are protected. To find an extra unilateral right of revocation enjoyed by the withdrawing State contradicts the structure and purpose of Article 50. A very concrete example serves to emphasise the point. Were a withdrawing State to enjoy a right of unilateral revocation, it would be in a position to give notice of withdrawal and then change its mind after 23 months, once it concludes that the deal is not likely to be good enough. In fact, on this approach, a State could even change its mind after 23 months if it realises it is not going to get a good deal agreed inside 24 months, revoke the notice of withdrawal, and then submit another notice of withdrawal soon afterwards and try again. And it would not be liable to account for the costs. Hazy suggestions that this would be an abuse of law are one answer to this problem – and for sure there would be political costs for a State behaving in such a perfidious manner. But the better solution, the one which is fully in line with the structure and purpose of Article 50 itself, is simply to exclude the possibility of unilateral revocation under Article 50. This interpretation also has the merit of deterring a State from triggering Article 50 unless it is absolutely sure that it wants to run the risks of getting a bad deal or even no deal – which, to repeat, is in line with Article 50’s structure and purpose, which is to protect the 27 not the 1. The government of a State that sends a notification pursuant to Article 50 and then waits nine months before initiating internal discussions on what shall be the preferred shape of its future relationship with the EU is in a spectacularly bad position, but it is entirely its choice to have placed itself in that location. There is nothing in the structure and purpose of Article 50 which encourages the view it should be allowed a unilateral right of revocation, thereby to impose costs on the EU-27 and to subvert the protections for the EU-27 carefully spelled out by Article 50. Quite the reverse: Article 50 should not be treated as providing a unilateral right of revocation. A final point in closing the door to unilateral revocation is needed. Article 50 provides only for notification of an ‘intention’ to withdraw. An intention, it may be argued, can change. So can a Member State set aside its notification of an intention to withdraw on the basis that subsequently it has changed its mind and so no longer has that intention? This is an attractive argument for those who would wish to maintain maximum flexibility for the UK. But it is not convincing. The notification of an intention to withdraw has been made. The clock starts to tick: the EU-27 acts in reliance on the notification and begins to make preparations for the negotiation. The intention may change subsequently, but the fact of having notified it within the meaning of Article 50 does not and cannot change. This attempt to create a right of unilateral revocation based on subsequent change of intention places an undue strain on the wording of Article 50, as well as running contrary to its structure and purpose. I do not here address the politics of the matter. It is generally assumed that if the UK changed its mind a way would be found to accommodate its preference to remain a Member State of the EU. That may be right. But it may be complacent. If by the time of the change of mind major employers have decided to quit the UK in favour of the EU-27 (which might be precisely the impulse most likely to trigger the UK to change its mind) the incentives to agree to a UK request to terminate the Article 50 process would be weakened. Moreover, if the UK’s change of mind occurred amid a febrile political environment within which an imminent fall of government and its replacement by another minded to re-issue an Article 50 notification seemed plausible, then the EU-27 might be tempted to let the withdrawal process run its course. My argument here is simply one of legal interpretation, not political context. But the politics are in part determined by the legal position. These political obstacles to the scope for the UK to change its mind and remain a member of the EU vanish if it enjoys a legal entitlement to revoke the Article 50 notification unilaterally. The UK can resume its current position cost-free (save only for longer-term reputational damage). By contrast if, as I argue, there is no right to unilateral revocation of Article 50, the UK will need to overcome those obstacles, and as part of that process it needs to negotiate on the terms to be attached to the readiness of the EU-27 to acquiesce in the change of mind. That puts the UK in a very weak position. It is the UK that has placed the UK in a very weak position. The structure, purpose and wording of Article 50 show that the solace of a unilateral right of revocation of the notification of withdrawal is not available. Any form of retreat from Brexit seems unlikely, and any attempt at revoking the Article 50 notice would likely be a political process first and foremost. Still, it’s useful to consider whether unilateral revocability of an Article 50 notice is possible, in the event that the political situation changes radically; and I agree with Professor Weatherill that the legal position would have some relevance even though the politics would take precedence. (Most importantly, the power to revoke unilaterally would mean that the UK would not have to offer any quid pro quo in order to stay in the EU, and so would change the dynamics of the process). In my view, while there are legal arguments for non-revocability and unilateral revocability, it’s hard to see the legal (as distinct from political) argument for ‘revocability only with consent’. And ultimately, while it’s anyone’s guess how the ECJ might ultimately interpret Article 50 if the case arose, my view is that the stronger argument is for unilateral revocability of the withdrawal notice. Let’s start with the case law of the ECJ. There’s not yet any case law on Article 50 as such, of course, and so any case law could only be loosely relevant by analogy. The only ECJ case in the last few years I could find about a Member State revoking anything was this asylum law judgment of 2015, which as it happens I discussed at the time here. This case in part concerns whether a Member State can revoke a refugee’s residence permit, even though the relevant EU legislation contains no express reference to such a possibility. In the court’s view (see paragraphs 47-50 of the judgment), ‘[d]espite the lack of express provision authorising Member States…to revoke a residence permit issued to a refugee, a number of arguments support an interpretation whereby Member States are allowed to take such a measure’. First, the EU legislation ‘does not explicitly rule out the possibility of revoking a residence permit’. Second, revocation of a permit was ‘consistent with the aim of’ the legislative rule (because the law says expressly that Member States could refuse to issue or to renew a residence permit on grounds of national security, it made sense that they could revoke a permit on such grounds). Thirdly, revocation was consistent with other provisions of the law relating to potential national security concerns about refugees. Refugee law is different from the EU withdrawal process, of course. But there are some general points here. First of all, the Court rejects the argument (commonly made by those who think no revocation of the Article 50 notice is possible) that ‘absence of an explicit clause on revocation must mean that no revocation is possible’. Rather, the judges rule the opposite: if revocation is not explicitly ruled out, then it must be possible. Secondly, the aim of the law is important. This is indeed the main thrust of Professor Weatherill’s argument – but as we’ll see, I take a different view of the aim of Article 50. Thirdly, consistency with other provisions dealing with the same issue is important. This reasoning is sensible in principle, but it’s hard to see how to apply it by analogy to withdrawal from the EU, since Article 50 is the only provision on the subject. I can foresee a fundamental objection here: the revocation of a residence permit concerns a Member State’s power to regulate non-citizens on its territory, which is quite different from its relations with other Member States. Fair enough. So let’s look at a process, set out in the EU Treaties, which does concern the precise question of whether a Member State which has made a notification to the EU institutions can revoke that notice unilaterally. I’m referring to the process of ‘enhanced cooperation’, as set out in Article 329 and Article 331 of the Treaty on the Functioning of the European Union. This process, rarely used, allows some Member States to go ahead without the others to adopt EU legislation. The procedure gets underway when a group of willing Member States makes a request to the Commission to start it. But what happens if one of those States becomes unwilling to participate in the planned enhanced cooperation, during the process of negotiations? Can it, in effect, withdraw the notification of its intention to participate? The EU Council legal service has given a detailed opinion on this issue. You can find it here, heavily redacted. But a helpful little bird has given me the entire text. Let’s see what it says on the key issues. (Note that the UK government has already relied on earlier legal advice to the same effect). On the second point, the openness of enhanced cooperation is ‘characterised by [the] simplicity’ of the rules, needing no fresh decision for a Member State to join enhanced cooperation which is already underway or under negotiation. Before that point in time - during the period from the date of adoption of the authorising decision to the establishment of enhanced cooperation - and bearing in mind the voluntary, open and flexible character of enhanced cooperation, a Member State is entitled to withdraw its stated intention to participate. Not allowing unilateral withdrawal at this stage could have the effect of discouraging Member States from proceeding with enhanced cooperation before knowing its precise and definitive content, running thus counter the objective (sic) of "promot[ing] participation by as many Member States as possible” (Article 328(1) second subparagraph TFEU). In the view of the Council Legal Service, no modification of the authorising decision is required for the withdrawal of a Member State to take effect. In the absence of any formality required by the Treaties, a Member State wishing to withdraw from enhanced cooperation should simply notify its intention to the Council and to the Commission in written form or through a statement delivered at a Council meeting. No further act of the Council and/or of the Commission is necessary for the notification to take effect. As from the moment of such notification, the Member State concerned should no longer be considered as wishing to participate in the establishment of enhanced cooperation and therefore, should not take part in the vote for the adoption of the act. While a legal service opinion is not binding – the Council wins some cases, but loses others – this is an interesting analysis which could apply by analogy to the Article 50 process. The absence of a provision on revocation of intention is not decisive: instead, the key point is the voluntary and flexible nature of the process, and the overall objectives of integration. A Member State can change its mind unilaterally, even after the first step in the procedure has passed, as long as the final decision has not been made. Article 50 is equally a voluntary process, and also has a first step (notification of withdrawal) followed by a negotiation phase before withdrawal becomes definitive. And the overall integration objectives of the EU are obviously served by facilitating a Member State’s wish (if it chooses) to reconsider its decision to leave the Union. I’ll now turn to the detailed arguments of Professor Weatherill. First of all, he argues that, as a matter of policy, the costs of Article 50 negotiations are an issue which suggests unilateral revocation is not possible. But such an approach is not taken in analogous EU procedures. Some proposed EU laws can be blocked by the veto of a single Member State. Terminating the negotiation process in the event of such a veto imposes costs, but no one argues that a Member State therefore lacks a power to wield its veto unilaterally in such cases. Equally a proposed Treaty amendment can be frustrated by the failure to ratify by a single Member State. And the strongest analogy is the accession process, which can be scuppered by a would-be Member State ending negotiations or refusing to ratify an accession treaty, despite the enormous efforts expended on the ratification process. In all these cases, the power to act unilaterally is unquestioned, despite the inconvenience caused to other States and EU institutions. That awkwardness stems necessarily from the exercise of national sovereignty – the very sovereignty which is embodied in the right to withdraw from the EU, to which Article 50 gives effect. Furthermore, in the particular context of the UK, it seems odd to be concerned about the costs of a revocation of the Article 50 notice which would be suffered by the EU27, given that a U-turn on Brexit would mean that a major net contributor to the EU budget keeps on contributing. In any event, holding detailed negotiations on revocation of withdrawal will impose more negotiation costs than simply accepting the revocation and returning to the status quo – with Adonis resuming skiing and Farage resuming screeching. (Yes, I know: they never really stopped). On the issue of democracy, Professor Weatherill again repeats the argument as regards costs. But let me repeat the same rejoinder: the very possibility of withdrawal gives priority to the democratic choices made in the withdrawing Member State over the impact of that choice in the remaining Member States. Indeed, ‘a revocation does not affect only the UK’; but the same could be said, with much more force, of the power of withdrawal. Yet the Treaties accept that the power of withdrawal lies with the UK alone; vesting the power of revocation with the withdrawing Member State alone is a logical corollary. As for the wording of Article 50, I draw the opposite conclusion from it. Indeed, there are detailed rules on the roles of the EU institutions and the EU27 Member States in negotiating and concluding a withdrawal agreement. But there are no such rules on the role of those institutions and States in the event that a Member State revokes its notification. One can reasonably deduce from this either that no revocation is possible, or that unilateral revocation is possible – although note that the ECJ case law and Council legal service opinion above prefer the latter interpretation in analogous cases. But the least plausible interpretation is that the Treaty drafters intended such rules but just forgot to mention them. To strengthen the argument, look at the detailed procedural rules relating to Treaty amendment, accession, and the negotiation of treaties between the EU and non-EU states, which were all amended in the same Treaty of Lisbon that created Article 50. How odd for the Treaty drafters not to set out rules on the procedure for agreeing revocation of an Article 50 notice at the same time. What about the possibility of a Member State revoking its withdrawal notice and then issuing it again, to get more time to negotiate withdrawal? I agree with Professor Weatherill that the notion of ‘abuse of law’ is indeed ‘hazy’. But at least this notion already exists in EU law, and so could be clarified if necessary in the event of such alleged abuse in the Article 50 context. On the other hand, Professor Weatherill’s argument for negotiated revocability relies on conjuring up procedural rules which don’t explicitly exist in the Treaty, and are not recognised to exist in any case law to date. If ‘abuse of rights’ is a hazy notion, then ‘procedure for negotiating revocation’ is a Dickensian fog by comparison. Equally, if revoking a withdrawal notice places a strain on the wording of Article 50, then inventing a process to negotiate revocability places a bigger strain still. And while one purpose of Article 50 is undoubtedly to protect the remaining Member States’ interests, another purpose is to give priority to the sovereign decisions of the withdrawing Member State. The best way to reconcile the alleged conflict between these two purposes in the event of a unilateral revocation of a withdrawal notice is to conclude, as I noted above, that all the underlying objectives of the EU are best served by allowing a withdrawing Member State to decide to remain in the EU after all, should it wish to do so. This neatly balances the EU’s interest in its integration process with a Member State’s sovereign power to decide on whether it wishes to leave or stay in the EU.